Coastal Economic Development Corporation is proud to announce the election of Nina Cutts, of Kittery, Maine, to the Board of Directors. Nina is Vice President of The Provident Bank and is a commercial lender out of the Hampton office. We welcome Nina and look forward to working with her. Coastal Economic Development Corporation recently held its annual meeting and elected the following Board members to new three-year terms: Anne Russell, Jack Callanan, and Ellen Lavin. CEDC has been instrumental in obtaining subordinate financing for Smuttynose Brewing Company, and its plan to build a 40,000 square foot brewing facility in Hampton, NH. 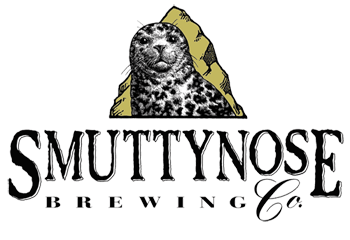 Smuttynose Brewing Company is one of the nation's fastest growing regional brewers and its move to Hampton is an exciting project for the Seacoast. CEDC helped to obtain a total of $1 million in financing from two NH Business Finance Authority programs and is on track to gain final approval for $475,000 for the project through HUD's Community Development Block Grant Program. Coastal Economic Development Corporation recently closed a $1.6 million financing package with Foss Manufacturing Company in Hampton, NH. The financing was provided to CEDC from the NH Business Finance Authority, and it allows Foss to continue its growth in global non-woven fabrics industry. Foss currently employs nearly 350 at its Hampton manufacturing plant. With a $475,000 award through the HUD Community Development Block Grant Program, CEDC has recently provided financing to the newly-established NH Fishing Sector to purchase federal multi-species fishing permits, which will allow NH's commercial fleet to maintain its catch share of federal quota. This project will retain at least 25 commercial fishing jobs, in an industry that is vital to the NH Seacoast economy but is impacted by federal fishing rules that have been implemented over the past two years. CEDC would like to recognize and thank three local companies who contributed a total of $21,000 to CEDC through the Community Development Finance Authority Tax Credit Program. Centrix Bank, The Provident Bank, and Port City Air generously agreed to contribute tax-credit eligible donations to CEDC. Thank you to three great partners!